Silvercorp acquired control of the BYP Gold-Lead-Zinc (Au-Pb-Zn) mine in January 2011. The mine is located in Hunan Province, China and is 220 km southwest, or a 3 hour drive, from Changsha, Hunan's capital city. The BYP mine has a mining permit covering 3.67 km2, a safety production permit and a 500 tonne per day (t/d) floatation mill. In August 2014, the Company has suspended mining activities at the BYP mine. As the BYP mine is not viewed as a core asset, the Company is considering various strategic options for this project. 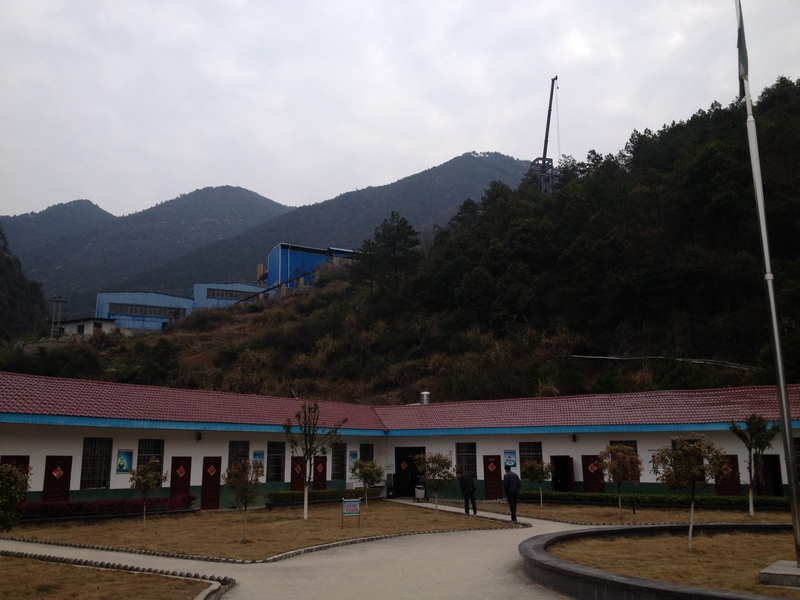 Silvercorp owns a 70% equity interest in Yunxiang Mining Co. Ltd. ("Yunxiang"), a private mining company in Hunan Province, China. 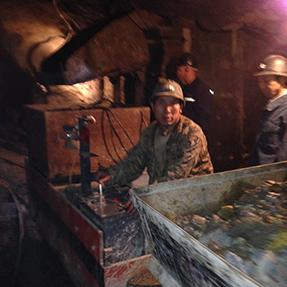 Yunxiang's primary asset is the BYP Gold-Lead-Zinc mine. The cost of the share purchase and the joint venture capital investment was approximately US$33 million. 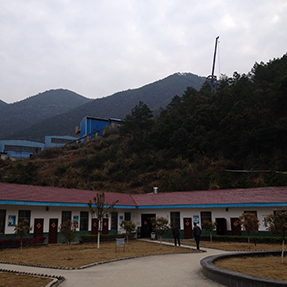 From 2006 to 2008, Yunxiang Mining mined 280,000 tonnes of mineralized material from the No.2 Lead Zinc zone on Levels 335m, 310m and 270m. About 50,000 tonnes of mineralized material remain between Levels 310 and 270. The estimated grade of the mined material is about 0.2% Pb and about 2% Zn (or less). Most of the mined material was recovered during underground exploration and development. Three major types of deposits have been recognized in the Central Hunan Polymetallic Belt (Keng, R.H., 2002): gold-antimony deposits hosted by fractured and altered rocks, micro-grain disseminated gold deposits and carbonate-hosted lead-zinc deposits. Mineralization on the Property consists of gold, lead-zinc and polymetallic mineralization. To date, five gold zones and 13 major lead-zinc zones, including one lead-zinc polymetallic zone and one copper zone, have been recognized. Gold zones occur as stratiform or lenticular zones in fractured clastic rocks in the lower portion of the Middle Devonian sedimentary sequence. The distribution of gold mineralization is structurally controlled by two major NE-trending faults F3 and F5. Five gold zones have been delineated. Zones range from 200–300 m in length and from 2–22 m in thickness, with a maximum thickness of 41 m. The average grade of the zones is generally in the range of 2 g/t to 3 g/t Au. Zone 3 is the most important gold zone, containing more than 60% of the total previously estimated gold resource at BYP. It contains a high grade core with an average grade of around 7 g/t Au. Lead and zinc zones show characteristics of stratabound mineralization and occur within the thickly-bedded carbonate rocks in the upper portion of Middle Devonian sedimentary sequence. However, the form, occurrence and size of individual zones are controlled and affected by pre-mineralization and post-mineralization fault and folds. The general trend of mineralized zones is conformable with the host rock, with a dip angle from 00 to 300. Over seven years of mining activity preceded Silvercorp’s assumption of ownership of the BYP project. The underground operation has been developed using small, conventional tracked equipment. In October 2011, Silvercorp began sinking a 265 m deep shaft to 115 mRL. 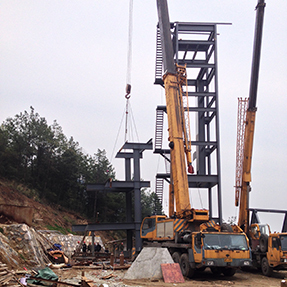 As of September 30, 2012, Silvercorp had completed the excavation work for the shaft and the installation of shaft equipment and construction of the head frame is currently underway. The shaft will be used to transport ore and materials, and to provide ventilation and allow underground exploration and development access that will facilitate the mining of the #3 gold mineralization body and the #5 zinc and lead ore body. Mine operations are scheduled for 365 days of the year, with production on a 330 days per year basis. 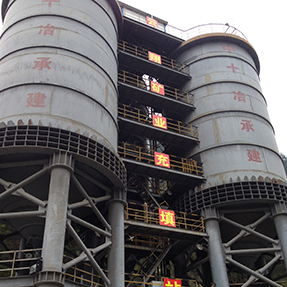 The current production rate is approximately 500 tonnes per day (tpd). Completion of the shaft will provide the capability for a potential production increase to around 1,000 tpd. The stope extraction sequence is bottom-up, with the inter-level extraction sequence generally being top-down. Variations of shrinkage stoping are the main extraction methods. Stope production drilling is by jackleg and in-stope rock movement is by gravity to draw points. Production mucking is mostly via hand shovels to rail cars pulled by battery locomotive. Ore transport to surface in up to 4-car trains is via hoist in the decline ore pass and then via electric or battery loco in the adit. 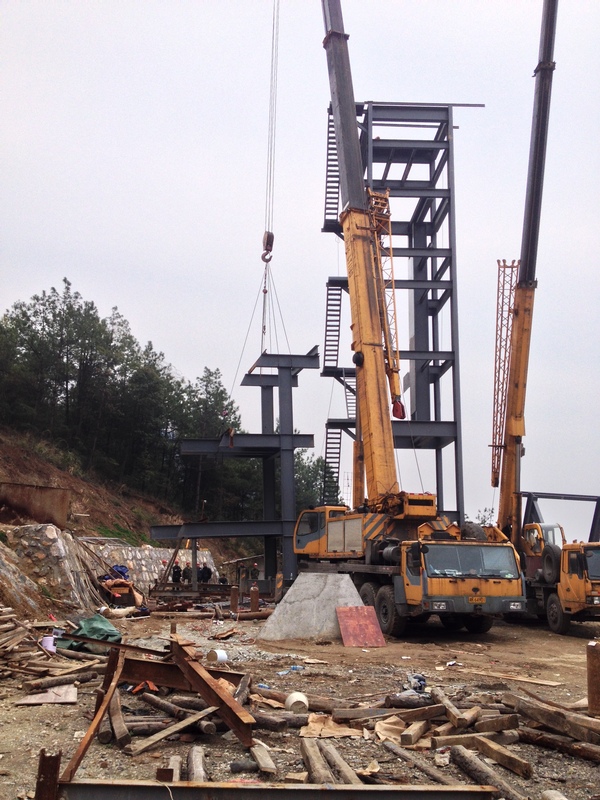 From adjacent to the #2 Adit, cars are pulled to the crusher site by a surface hoist installed at 380 m elevation. Mine dilution and mining recovery factors are 5% and 95% respectively, which are towards the upper limit of what is reasonably achievable. Silvercorp provides all mining equipment, explosives and ground support equipment, while the contractor is responsible for maintenance, repairs and replacement. The mine contractor is responsible for underground mining and related consumables. 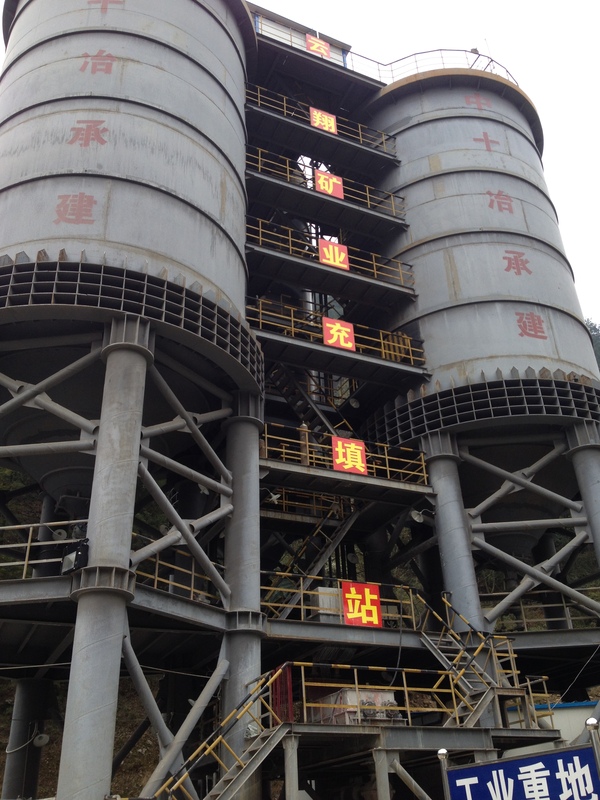 There is an existing 500 tpd plant which is used to process both lead-zinc sulphide mineralization and gold mineralization, each treated separately in campaigns. 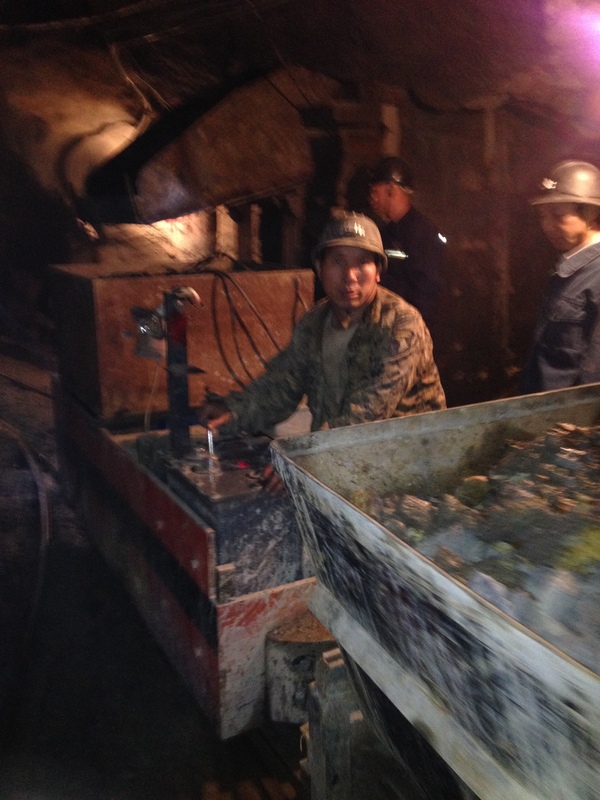 Lead-zinc flotation uses both the lead and zinc flotation circuits to produce separate concentrates, while gold flotation uses the lead flotation circuit to produce a gold-bearing pyrite concentrate. As set out in the 2012 BYP Technical Report, a tailings management facility (“TMF”) is located in a valley approximately one kilometre (“km”) southwest of the processing plant and 400m northeast of Yaposhan Village, and started operations in August 2011. It has a working volume of 245,000m3 and a currently expected life to late 2013. The life will be extended once the 1,500 t/d tailings backfill plant is operational. The construction of the plant is well underway and is expected to be completed by the end of March 2013. Water used for mineral processing is treated before being discharged to the TMF. About 75% to 85% of the process water is recycled back to the mill plant for reuse. For further information , please refer to the latest Technical Report for the BYP Mine (prepared by AMC Mining Consultants (Canada) Ltd.) which is available by clicking here or on SEDAR (www.sedar.com).